Ok, I am in looooooove with this color... It's so beautiful. So beautiful that I have 2 back ups in my stash and I'm contemplating on buying 2 more. Before you think I've gone too far to the dark side, this thing is limited edition. 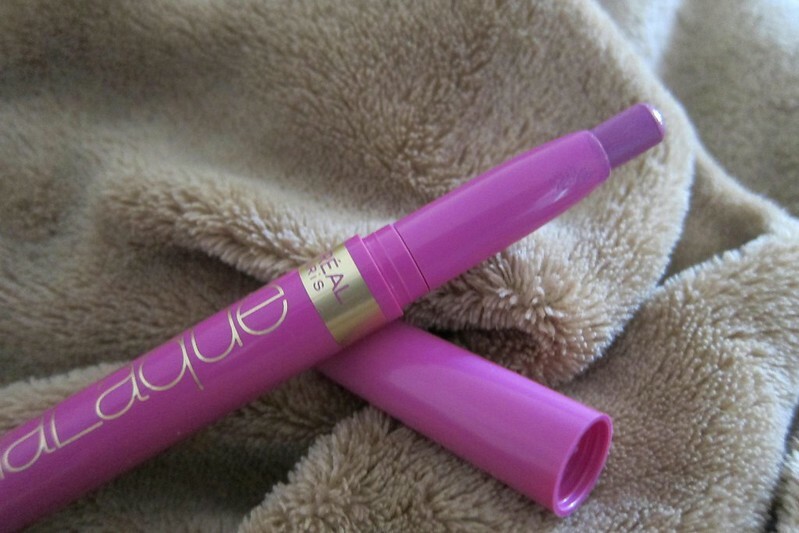 I'm not sure if they will ever bring back this lip product, let alone this color so imagine my concern that I had to buy backups on backups! It's a color that I think everyone can rock (screw the rules! do you! do and wear what makes you confident!) but unfortunately many will find this too obscene and I can understand why. In certain lights it looks pastel (such as the picture above) and in other lighting it screams neon (like the last two pictures). 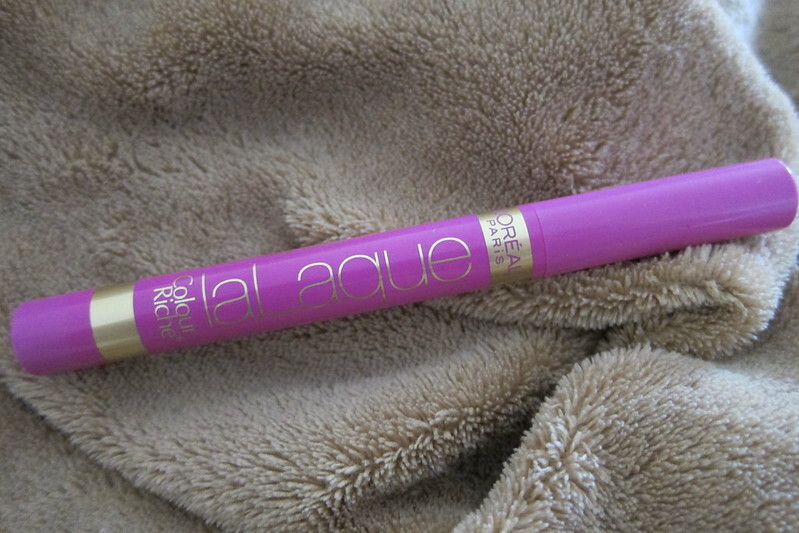 L'oreal introduced this baby not too long ago and I know that it's still in stands right now. I found this one at my local Target. They have a lot of different colors, some in the 'matte' side and others in the 'lacquer' side. This one is a lacquer, glides unto the lips like butter, stays on like a lipstick & shines like a lipgloss. It's a twist up contraption, which is always better than sharpening and wasting product. 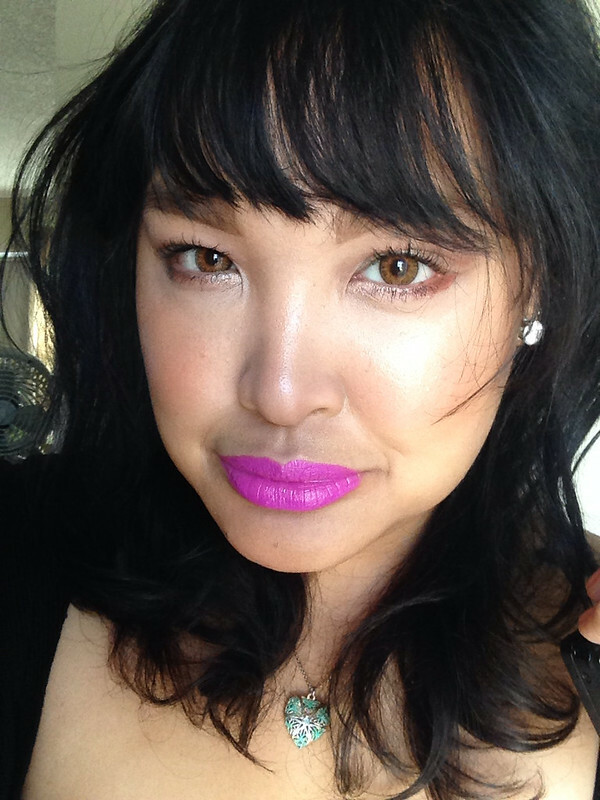 Obviously the wear time isn't going to be as fabulous as a matte lipstick but the gorgeousness of this color justifies having to reapply it again every 2-3 hours - if you don't eat anything at all. I can't attest to drinking something if it will stay on, but you DEFINITELY need to reapply after you eat. 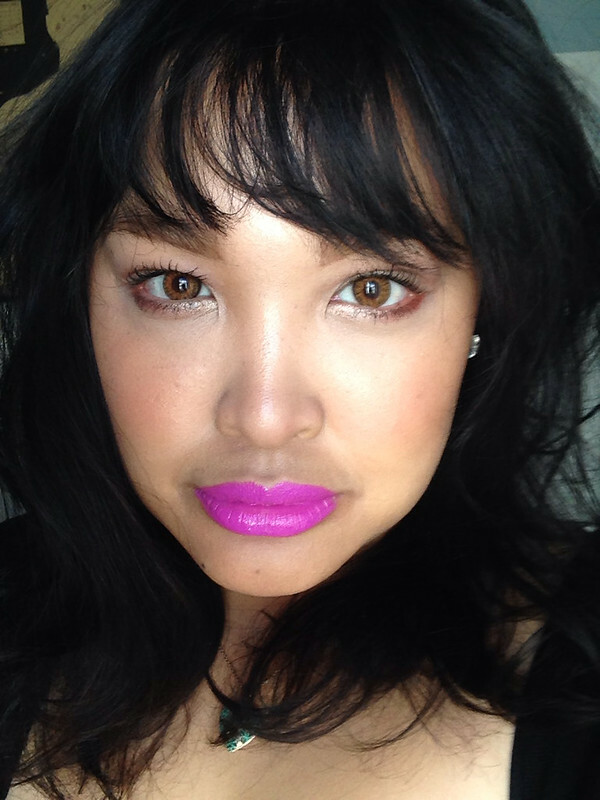 Needless to say, this is by far my favorite bright purple lipstick ever and it trumps MAC Violetta by a long shot (at least for me - though I still really love that color). Make sure to look for it at your local Target! Check out all the colors too... they're all so beautiful!